Entries are closed, entrylist should be out Thursday 14th, same day that WRC Sweden starts. 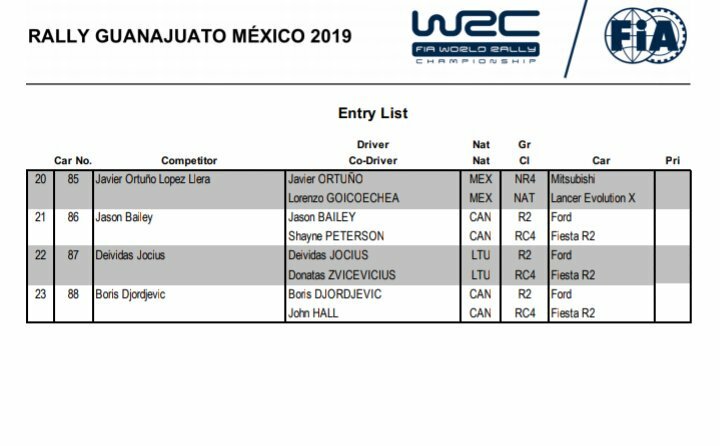 I'm new on the forum and planning to go to Mexico for the first time (though I have an extensive experience of European WRC). And I'm looking to get some advice, so local or experienced people, please PM me! Entries, very small numbers. 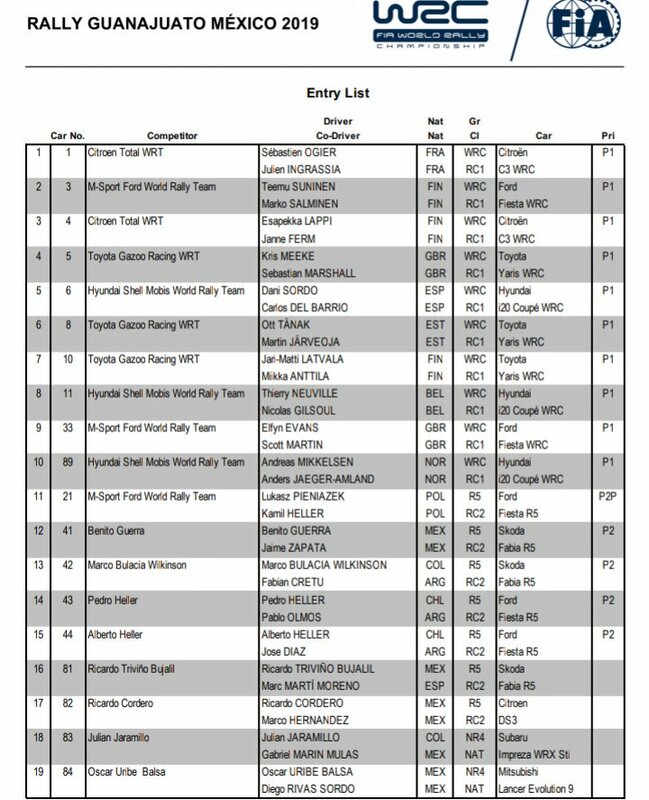 No extra WRC cars, only Pieniazek in WRC2Pro, four WRC2 cars. I can't wait to find out which one of the local Mitsubishis is going to be faster. Here is my route preview. A lot of the route is the same as before. The key changes are running Las Minas already on Friday for the first time, making Sunday a 60 km day with no repeating stages within the day, although most of the road material will have been driven earlier in the rally. Mesa Cuata and El Brinco new endings are the only sections that were not driven last year. The super specials are the same as last year –*seven in total – with the Guanajuato Street Stage tunnel sections being shortened back to 2017 format. Chicane removed again, but the tarmac part remains.